KNOXVILLE, Tenn., Aug 22, 2017 /PRNewswire/ -- Knoxville Locomotive Works (KLW), an original equipment manufacturer of switcher and road-switcher locomotives, was recently awarded EPA Tier 4 emissions certifications for its SE Series four and six axle locomotive designs. The Tier 4 certifications include the switch duty cycle for KLW models rated at 2000, 2200 and 2300 bhp and the line haul duty cycle for KLW models rated at 2400 through 3200 bhp. KLW is the only freight locomotive manufacturer to have achieved Tier 4 switch and line haul certifications in this broad range of horsepower classifications with single engine prime movers. "KLW's strategy was to assimilate a team of industry experts and supplier resources capable of advancing to the stringent requirements of Tier 4 locomotive air quality standards. 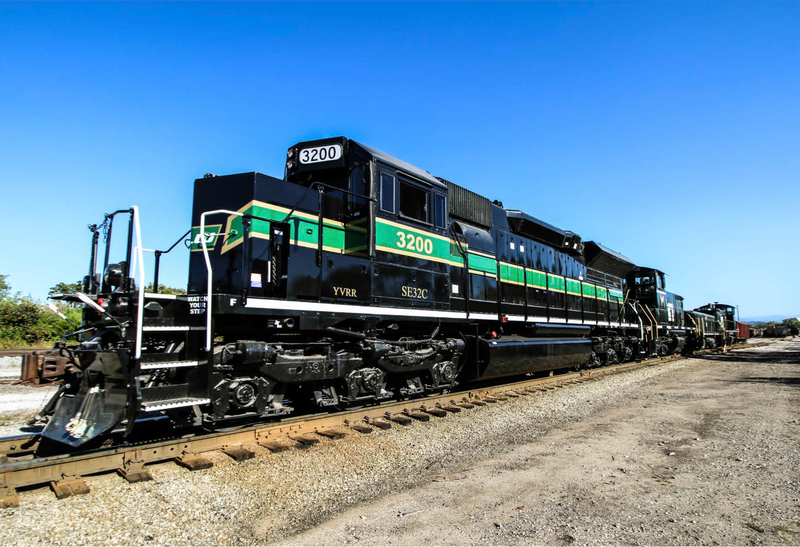 These locomotives use DEF at a rate of less than 2.5% per gallon of diesel fuel while delivering significantly improved fuel savings and tractive effort versus their conventional locomotive counterparts," said Knoxville Locomotive Works' Chairman Pete Claussen. SOURCE Knoxville Locomotive Works, Inc.